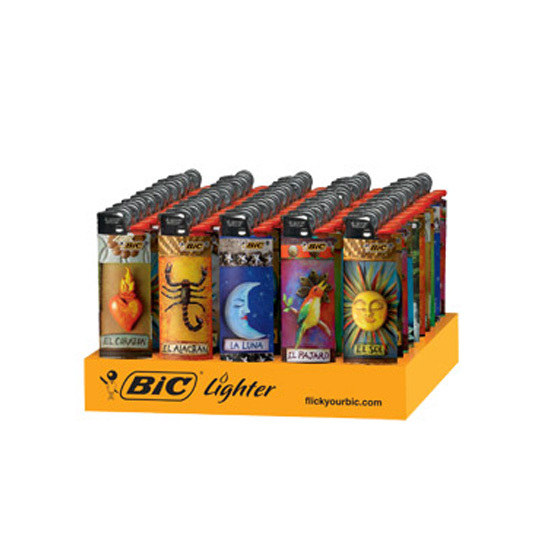 Over the past seven years, we have developed retail package design for BIC USA’s disposable lighters by creating a series of different lighter designs. Some of these design series include La Loteria, Cultura, and a Caliente series. 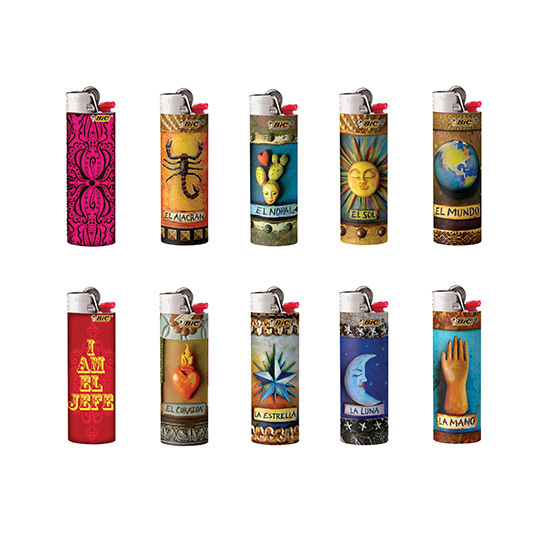 These lighters are offered as a special edition aimed at U.S. Latino smokers (both men and women) and have proven to be consistent top sellers. The hispanic retail package designs always begin with focus group testing across the country and have consistently received positive feedback with overwhelming purchase intent. All of the designs are culturally relevant, contemporary, and combine ancient and traditional iconography with a contemporary design approach. Although the primary focus was on US Latino/Hispanic smokers, the designs have been exceptionally good sellers with non-Latino consumers due to the nature of the unique and eye-catching designs.